Now, you may or may not be aware that one of the most recent Google edicts on conformity is that websites that are not mobile friendly and therefore not optimised for mobile devices will have a negative impact on their search engine rankings. If it's your website it won't be penalised by definition but sites that are up to date and mobile device responsive will be placed ahead of you in search results. It's a fact that most websites today are out of date. They're simply not user friendly, not responsive for mobile devices and search engines (especially Google) don't like them. We can change all of that for you with one of our clean, stylish and modern layout designs. And at a budget friendly cost. Mobile technology has escalated far quicker than expected and users are accessing websites on a vast number of different mobile devices. Latest statistics show up to 70 per cent of online use is carried out on a mobile device of some sort, so your website now needs to be easily viewable not only on desktops but also smart phones, laptops, tablets and all sorts of other mobile equipment. Not only do we now produce all our websites to be mobile friendly but we check that they work on a variety of browsers. Whether you want a new website created or an old one redesigned we will ensure that it's responsive to reach its maximum potential. With our expertise in design and development we will make sure your website displays perfectly on any device, giving your clients a better user experience and giving you the positive effect with SEO and Google ranking. How will it benefit your website? 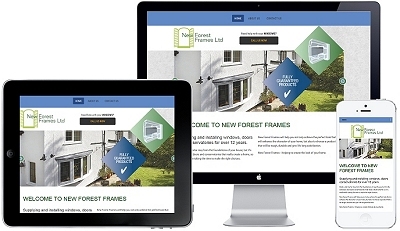 A Mobile Optimised website ensures only content compatible over a range of devices and browsers is displayed and allows a website to be viewed on both a conventional computer or laptop screen as well as on a smartphone or tablet. Images such as graphics and logos as well as text are re-styled in layout in order to make viewing the page easier and without requiring the need to zoom in or alter screen settings, angles etc. Navigation links as well as the main site menu will also be adjusted and altered to make mobile device viewing easier.